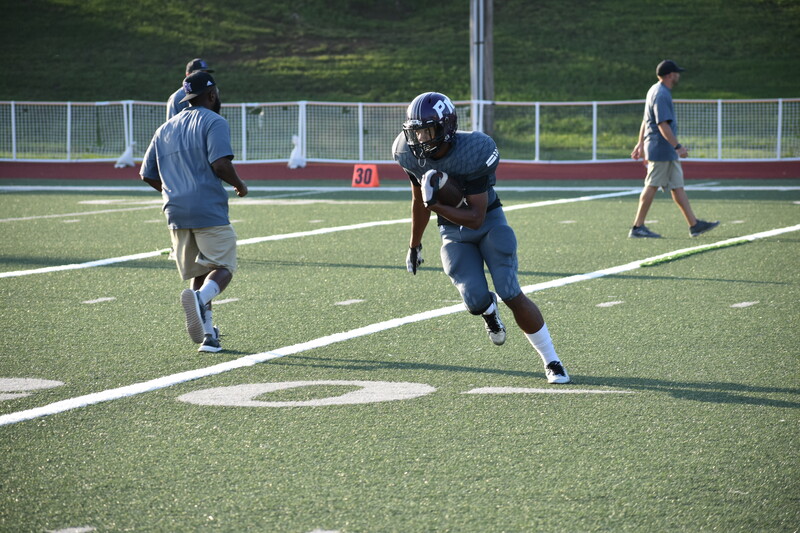 Senior Brennan May runs drills with the rest of the team on the field during pre-game. 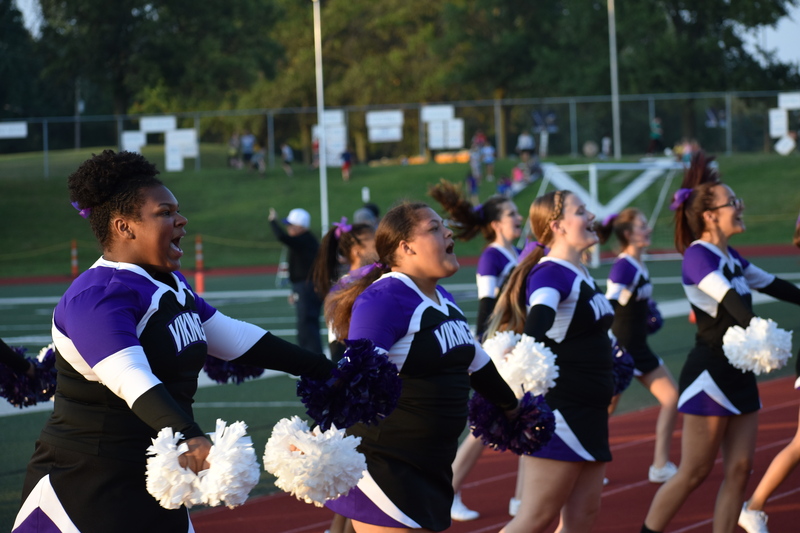 The team played Marquette on Aug. 24 at 7 p.m.
Sophomores Jaida Williams and Aaliyah Foster, along with the rest of the varsity cheerleading team, rev the crowd up at the start of the home opening game. 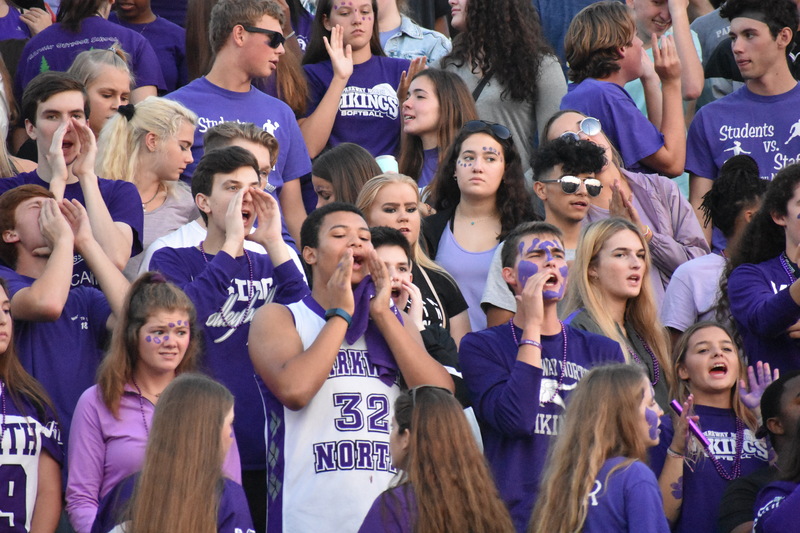 Students, parents, and faculty were donned in purple. 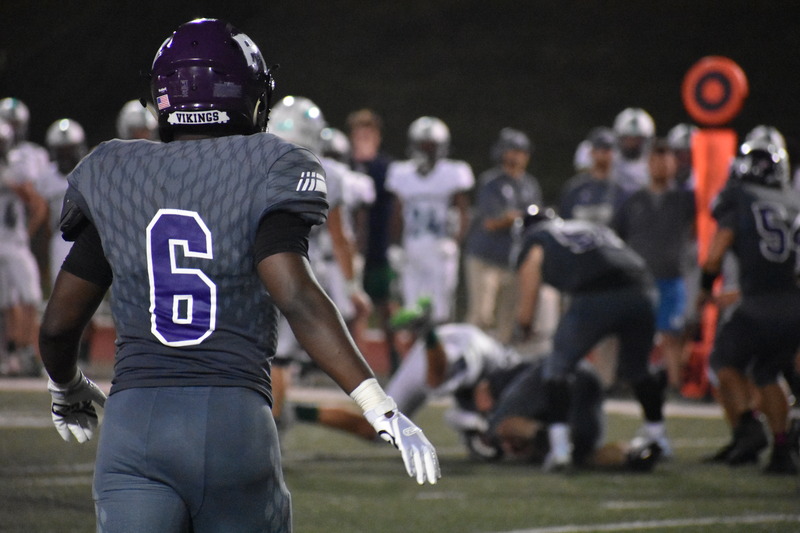 Senior Cameron Foster looks to the coaches as they tell him the play. “To be honest, we were a little disappointed in our performance. 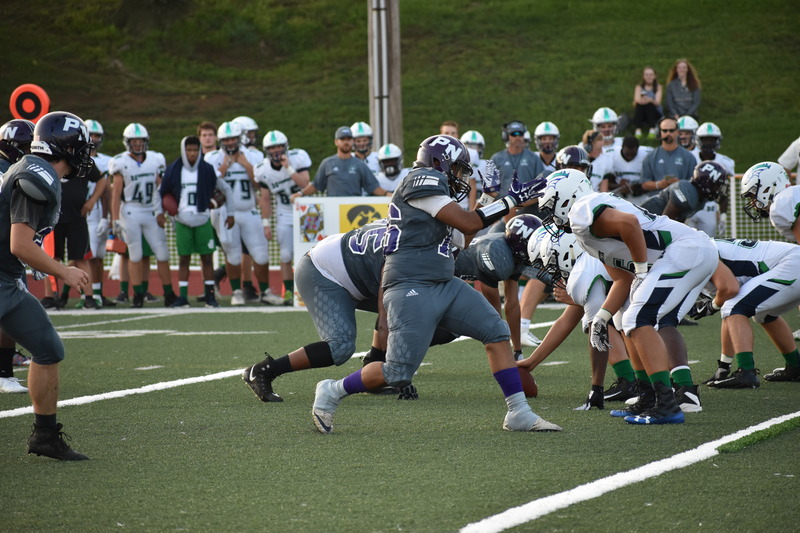 We know we made some mistakes and that kind of comes along with the first game,” said assistant coach Jason Breeland. Students show mixed emotions as Marquette scores another touchdown. By halftime, Marquette was still in the lead with a score of 19-0. The marching band performs the first and second movement from their 2018 competition show Cuban Waves. 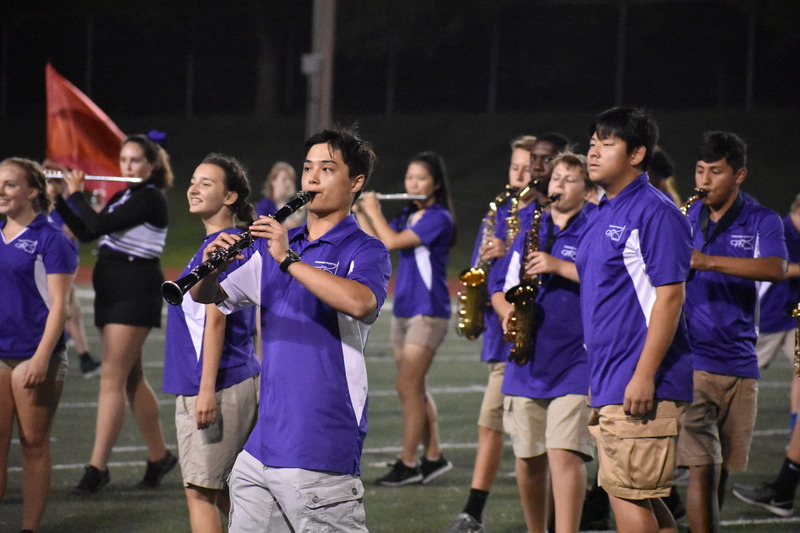 “We felt a bit nervous and under prepared, but overall it was pretty exciting,” said drum major and senior Madolyn Jewell. 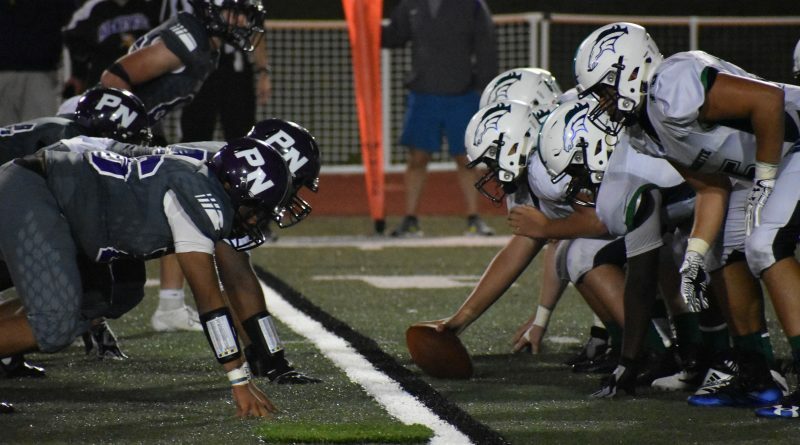 Both teams feel the pressure during the final seconds of the game. 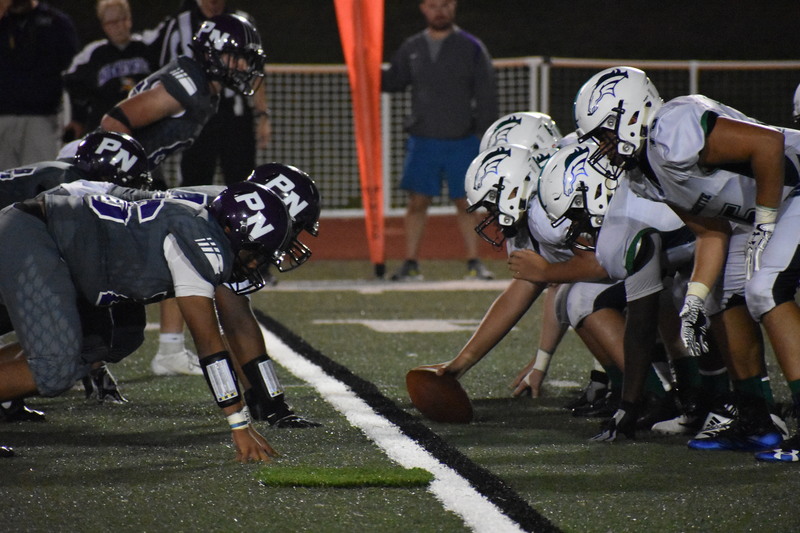 The Vikings lost to Marquette 26-7. 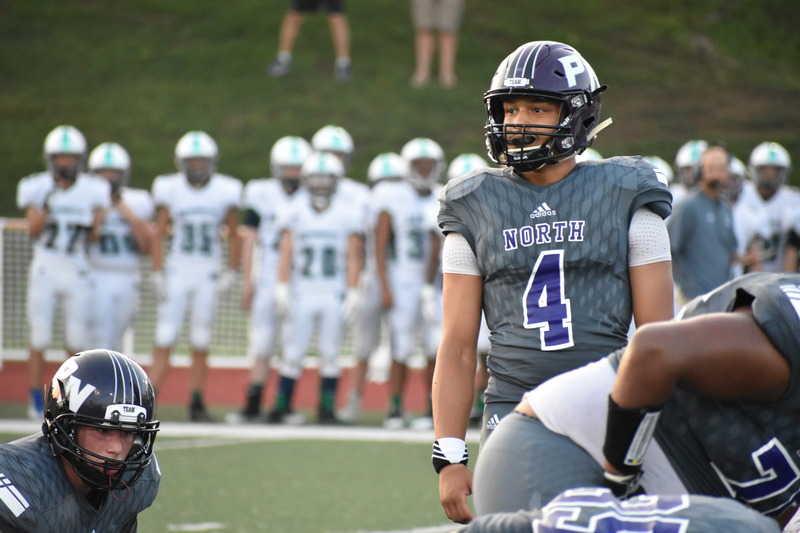 “[I’m] trying to help the guys be positive and just get back to playing Parkway North Football. Having a good week of practice this week, I think, will help mediate the problems that we had on Friday. We were a little disappointed in our performance, but I think we can get better,” said Breeland.